Learn how a best-in-class HCM solution is helping organizations thrive in the finance and insurance industries. In an industry in which ROI and efficiency are crucial, finance and insurance organizations are finding that they can positively impact both areas by upgrading to a more comprehensive, cloud-based human capital management (HCM) solution. Managers and executives understand that a healthy bottom line is a top priority. They also understand that harnessing the power of a best-in-class HCM solution can provide incredible value, freeing up administrative costs and overhead. 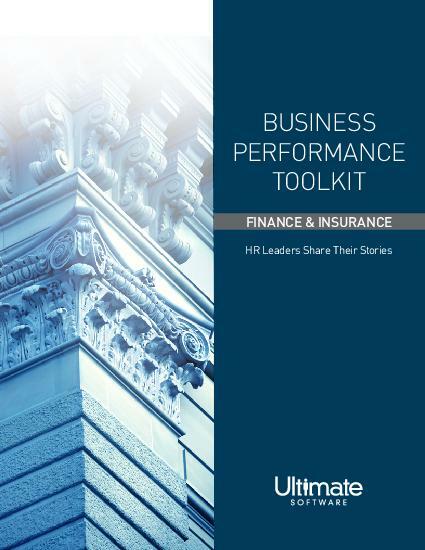 After making the switch, human resource leaders within the finance and insurance industries are reporting seamless and effortlessly scalable maintenance of accurate and centralized people data. Hear from these leaders to see how your organization can experience similar results. Please fill out this brief form to access your finance & insurance toolkit.